Jeanette Eveline Evans McKay was born on August 28, 1850, in Cefn Coed-u-Cymmer, near Merthyr Tydfil, Glamorganshire, Wales. 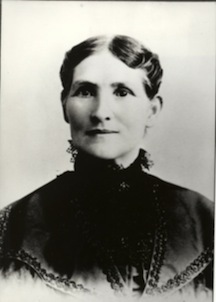 A few months before she was born, her parents, Thomas and Margaret Evans, had been baptized members of The Church of Jesus Christ of Latter-day Saints. They set sail for America from Liverpool, England, in May 1856, taking with them their six living children (five had previously died). They settled in Iowa for three years while they accumulated provisions for the trek to Utah in 1859. When they arrived in Utah, they moved to Ogden. The story of David McKay was similar to Jeanette’s: his family joined the Church in Scotland in 1850, left for America, stayed in Iowa, arrived in Utah in 1859, and moved on to Ogden. It was there that Jeanette met David McKay—she was nine years old and he was fifteen. They married on April 9, 1867, when Jeanette was seventeen years old, and settled in a log cabin in Huntsville, Utah. Here she bore two daughters, and their first son, David O. McKay was born in their frame house, followed by seven more children. The two eldest children—both daughters— died of rheumatic fever in March 1880. Jeanette and David also maintained a home in Ogden so that their children could go to school during the winter months. Each of their eight living children obtained college degrees. In addition to caring for the farm and her children while her husband served a mission to Scotland, Jeanette served in the Church in the Relief Society and the Young Ladies Mutual Improvement Association. Her good health diminished and she died at age fifty-four on January 6, 1905. Her son, David, was ordained an apostle one year later and often spoke of her in his sermons. Leonard Arrington, Susan Arrington Madsen, and Emily Madsen Jones, Mothers of the Prophets, rev. ed. (Salt Lake City: Deseret Book, 2009). This page was last edited on 19 April 2016, at 22:24.